As Founders House starts to expand we do not want to forget the titles that helped us get to this point. Please, if you haven't read them yet, consider purchasing these first two titles. Both are available on this website as well as other online retailers. Thank you for visiting Founders House Publishing. 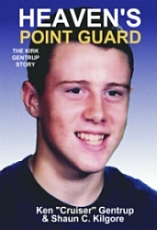 Summary: This is the story of Kirk Gentrup, sixteen-year-old boy, star athlete, and much loved student who was fatally struck by lightning on the baseball field in 1995. Told from the perspective of his father, Ken "Cruiser" Gentrup, Heaven's Point Guard shares memories of Kirk's life, remembrances of loved ones, and messages from those who were affected by Kirk's life and example. Summary: Part family history, part travelogue, Echoes From The Past, is a memoir of John and his wife Mary's investigation of his family history. 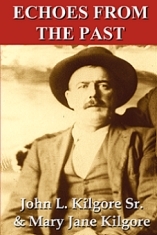 It recounts not only his reunions with distant cousins but also his acquaintances with country music stars like Johnny Cash, June Carter Cash, Hank Williams Jr., Merle Kilgore, and many others.